For years now my family has been making sausage rolls to have at family occasions. They go with drinks. They go as a pre lunch or dinner appetiser. They just go. And teamed up with some tomato relish they are taken to another level of yumminess. And the people, the people LOVE them. But the thing is, they are SO simple to make that I am a little ashamed to show you how they are made. I rolled them out Sunday lunch for the kids and thought I would share them with you. You’re welcome. 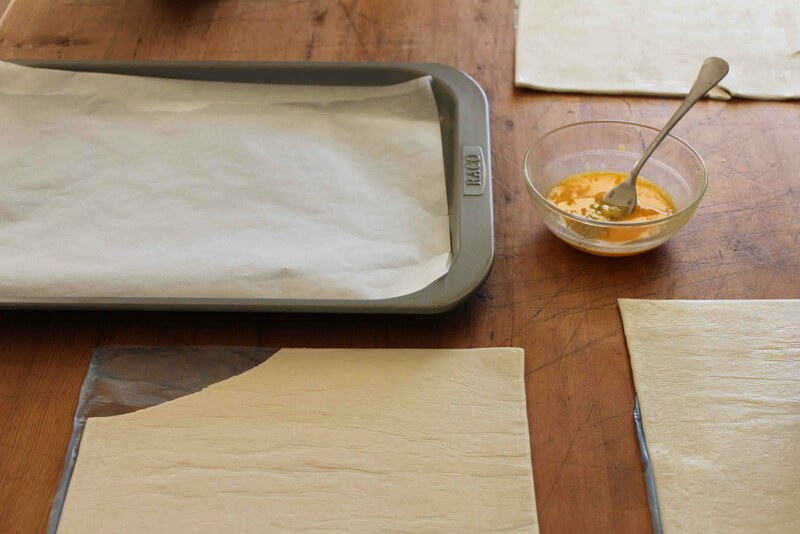 First you get some old sheets of puff pastry from the bottom of your freezer and defrost them. Mix your egg up for brushing which will literally be in a minute. Take the skins off all of your sausages. It always makes me go eeeeeeew. 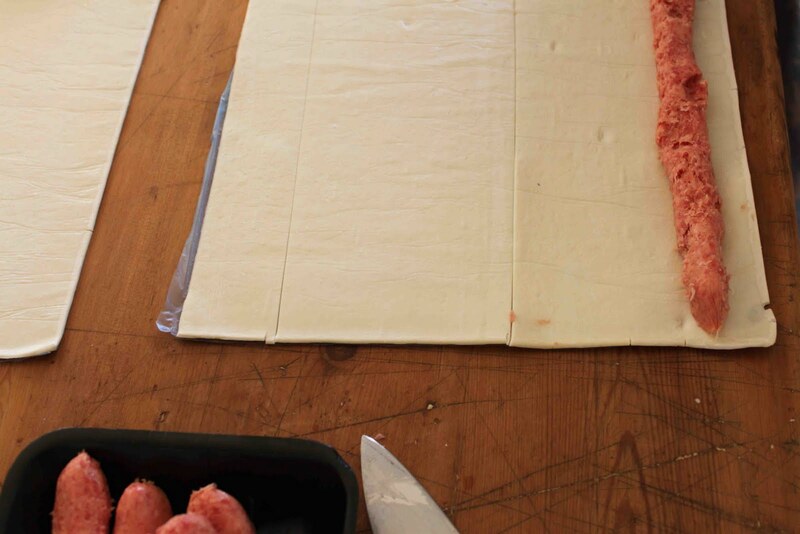 Cut the puff pastry into 2 main bits (it just doesn’t quite cut into three so cut into 2 and throw away the excess). Place sausage mixture (stretching it out as you go) along the bottom of the pastry. Get someone small to roll them for you. A 4 year old would be perfect for the job. 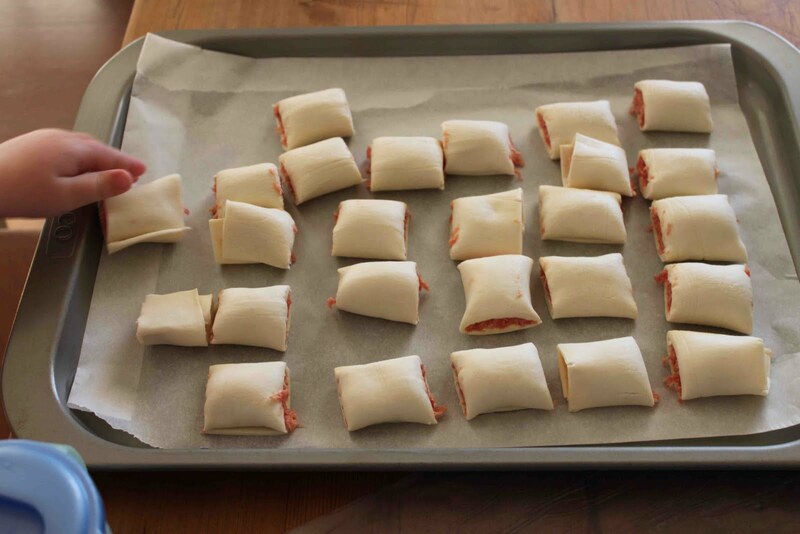 Then cut them into small pieces and place on a tray. Get someone small to help with this two. A 4 year old will do. As will an almost 2 year old. They really like to help out. And then? Well try to remember to take a photo of the finished product. I forgot this step because I had just rolled 2 glasses of champagne in short succession. Serve with tomato sauce for the kids or tomato relish for the grown ups. yum, im gonna make these as soon as im off bed rest… better still- i’ll have dave make them while i continue bed resting. love them – and loved the 4yr old and 2yr old helper hands! Love that champagne got in the way of the finished shot. 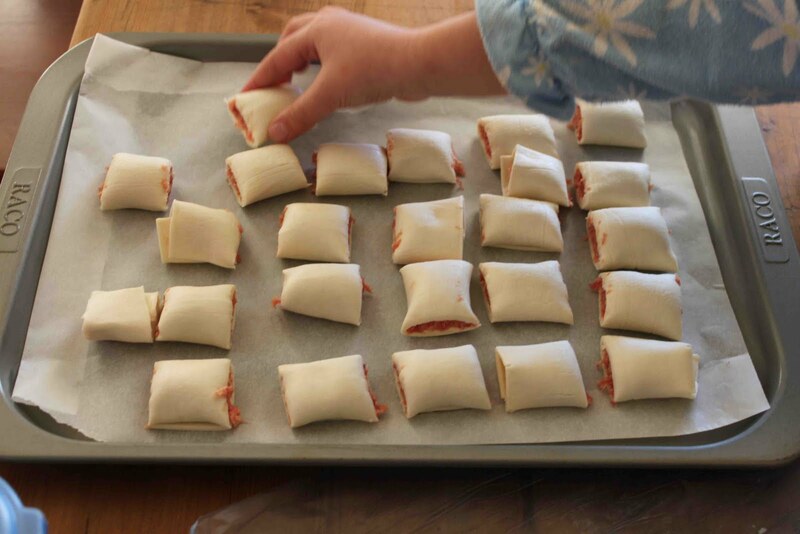 I whip up sausage rolls here too with the kids – just use a mix of chicken mince, tomato paste, egg and breadcrumbs. Yum. As they say – parfay! Ooh and I love Nikki’s variation too. The hubs always makes the snag rolls for every occasion in the house. They disappear so damn fast! He uses that sausage mince from the supermarket (kinda looks like dog food) adds some grated carrot and some onions caramelised in apple jelly. OMG. When we went to watch the Jets recently he accidently made a batch using shortcrust pastry. They were surprisingly good, though you could only eat two as they were bricks in ya guts. I made some recently (different recipe) and my ‘helpers’ were more of a hindrance! I love how simple these are. Definitely great for a quick whip up!! 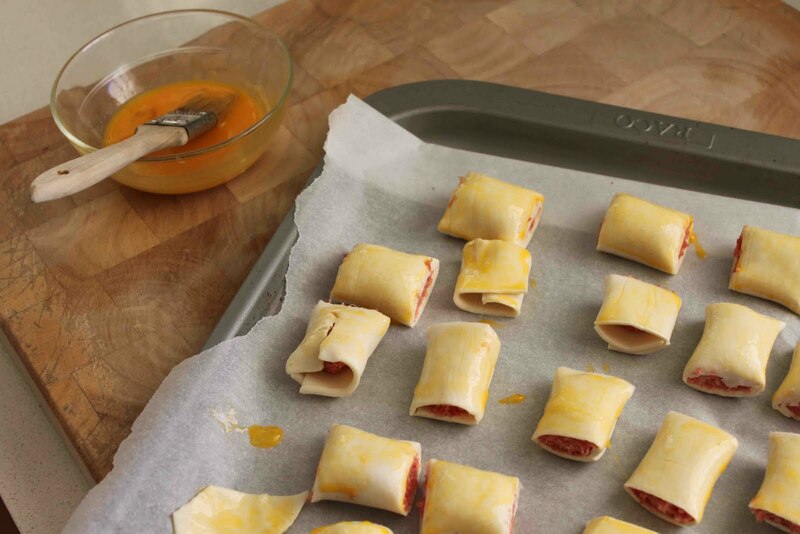 this is GENIUS beth… i’m going to have to try this with some gourmet sausages i think… nom nom! 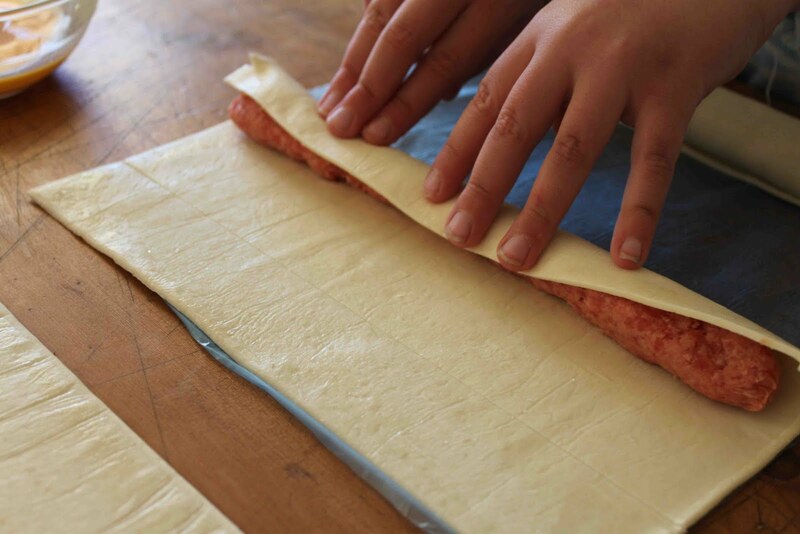 I can’t imagine making sausage rolls any other way – am not one for whipping up pastry from scratch. Life’s too short! I always wondered whether you skinned the sausages or not..I like the idea of gourmet sausages too. I was thinking that instead of throwing the ends away you could twist them and put a little parmesan on them and make cheese twists or roll them with a little jam inside or brown sugar and cinnamon..yum! I have never thought to skin a sausage to make these! You know what I’ll be trying out these school holidays!!! We are actually even slacker and buy the skinless sausages, forget name of the brand but I buy them at Coles. You can skip a whole step! Beth – this is the first time I have commented on your blog however have been a lurker for a while and wanted to say how much I enjoy dropping in – you and maxabella prompted me to book a session with Tim Coulsen after seeing your pics 🙂 Thank you for sharing. Easy enough for even me. That is so clever … even my hubbie wont mess that up. YAY!! I make some vegetatian ones in my thermomix – you wouldn’t even know that the main ingredient is Walnuts. yummo!! what if you cut the other way making 3 strip..just saying! That’s how I do mine. I buy the peppercorn sausages, they have the carrot etc already in them! So easy and the kids love them! Reminds I must make a batch and stick some in the freezer! I’ll share my equally cheaty recipe that never fails to bring compliments. Want to whip up some quick meatballs for an appetizer? Simply buy a packet of chevups and cut each sausage into 4, roll into balls, cook and. .. Voilà! Delicious meatballs! 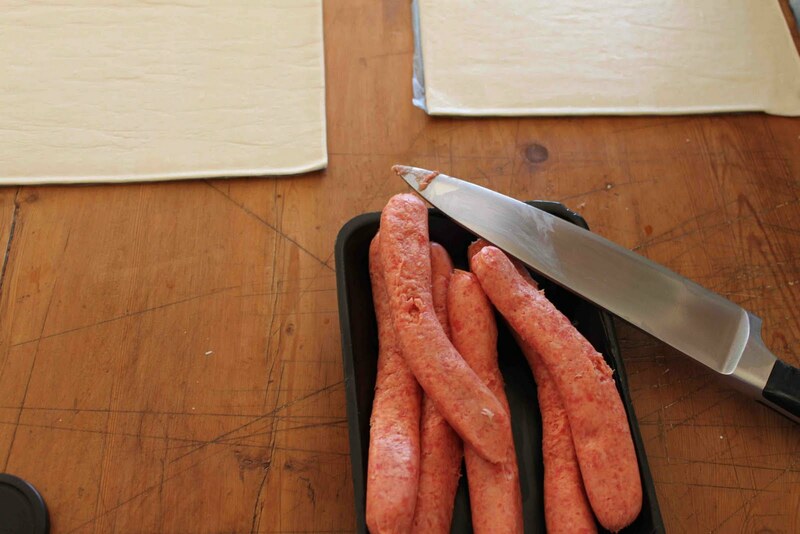 How about buying sausage meat so you don’t have to remove the skins? Easier right? We have it for making sausage meat stuffing usually. Pinned it. I like it.